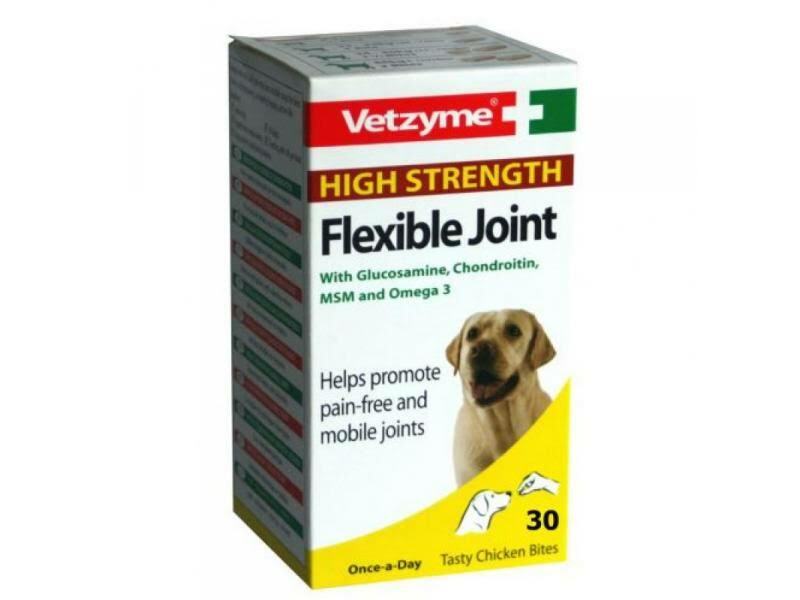 Vetzyme High Strength Flexible Joint With Glucosamine, Chondroitin, MSM and Omega 3 Helps promote pain-free and mobile joints. You see the signs - the dog has trouble getting to its feet and struggles getting up the stairs. Ideally before these signs develop, take action to help maintain your dog's joint health. 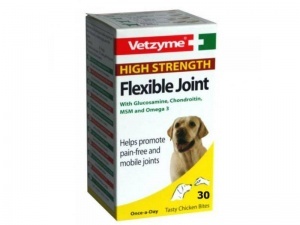 Vetzyme High Strength Flexible Joint has been specifically formulated to help maintain pain-free supple and mobile joints, helping to ensure your dog has a better quality of life as it enters its golden years. Regular use will help give the less mobile dog the best chance of maintaining a healthy happy active life.